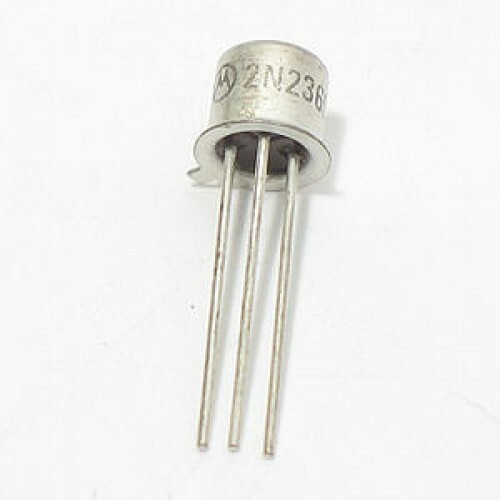 This 2N 2369 is a NPN type switching transistor used in different switching the devices. VCBO (collector-base voltage open emitter): 40 V.
VCEO (collector-emitter voltage open base): 15 V.
IC collector current (DC) : 200 mA. Ptot total power dissipation at Tamb ≤ 25 °C : 360 mW. toff turn-off time ICon = 10 mA; IBon = 3 mA;IBoff = −1.5 mA − 30 ns. High-speed saturated switching and high frequency and amplifier applications. Also Searched as : 2N 2369 diode online in india.